The event occured at Ernakulam Durbar Hall from December 20-24, 2015. 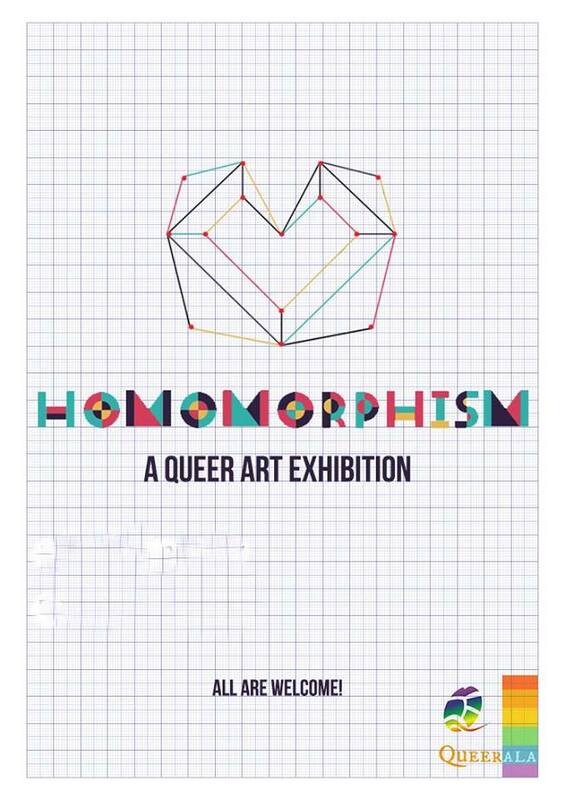 Homomorphism was an attempt by five young queer artists, to plot their notions on body and same gender intimacy on the axes of gender and sexuality, which are most often dismally represented by the hegemonic dominance of heterosexual affection and embodiments. The slots offered to realistic portrayals of homosexuality in the coliseum of popular art being narrow, the artists dispelled sublime hues with concurrence between love and love making, sans being merely subtle, as the object of their desire- the same gender body finds place in the visual frames. The artisan team of Queerala aimed to gaze into the expressions of gay lives, there by trying to locus the fantasies of homosexual folk in the contemporary art arena. 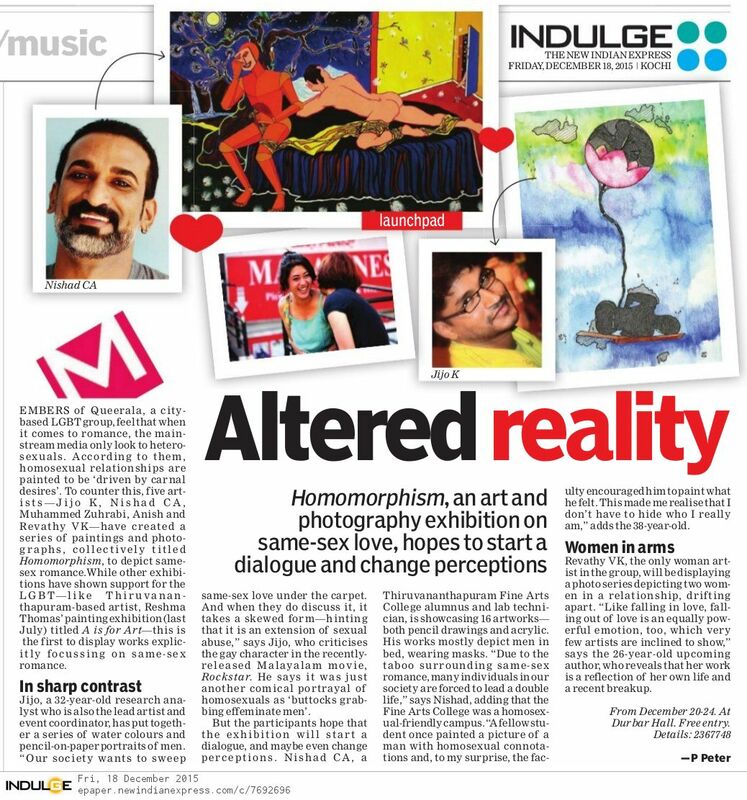 Durbar Hall Art Gallery, Homomorphism, Kochi, LGBT Art Exhibition.